VideoLAN released VLC Media Player 3.0.5 to the Stable channel earlier today. The new version of the cross-platform media player is a bug fix update for the most part; it fixes minor security issues by upgrading third-party libraries to newer versions. 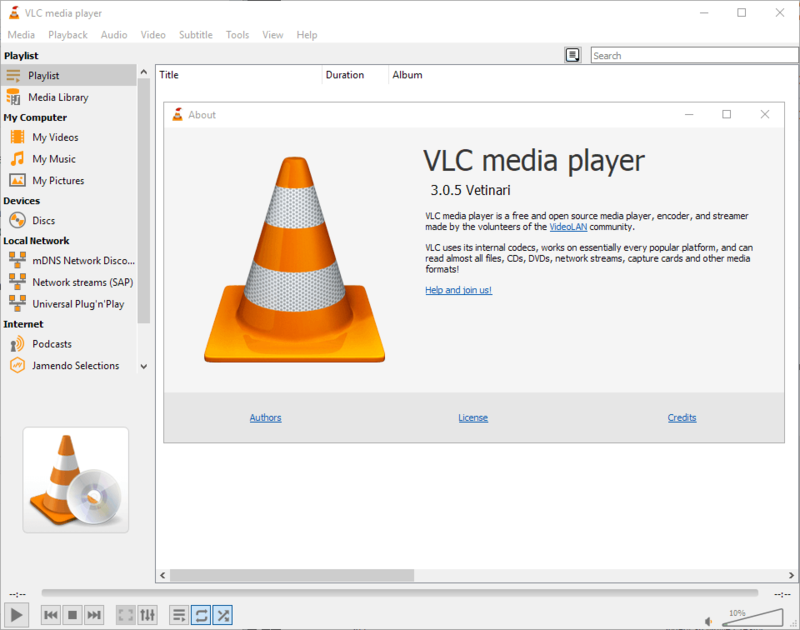 VLC users can download the latest version of the media player from the official VideoLAN website; VLC 3.0.5 is available for the desktop operating systems Windows, Mac OS X and Linux, and the mobile operating systems Android, iOS, and other systems. Windows users can run the installer to upgrade existing installations of VLC or download a portable copy from the Windows download page on the project website. VLC Media Player 3.0.5 is a bug fix release that fixes several issues in the player and updates libraries that the media player uses; these updates include patches for minor security issues according to the changelog. The new version improves ChromeCast support and updates support for YouTube. While YouTube support is not as good as it is in SMPlayer, another popular player for media files, it is still an integral part of VLC Media Player. VLC users can select Media > Open Network Stream to play YouTube videos by pasting YouTube video URLs in the location field. Runtime hardening enabled on Mac OS X devices. All external VLC plugins need to be signed with a "DeveloperID certificate" to continue working with VLC on Mac OS. Blu-Ray menu and seeking improvements. New AV1 decoder based on dav1d library; also AV1 demuxing improvements and AV1 packetizer. Libaom decoder enabled by default. Hardware decoding disabled on "some" older Intel GPUs. VLC 3.0.5 is no major update by any stretch but it is still suggested to upgrade older versions of the media player to the new one since it includes updated libraries and other improvements.